Living in the countryside can be peaceful. It can also be incredibly dangerous. I liked how the dialogue was mixed in with the narrator’s descriptions of what the characters were doing. There were enough conversations to tell what was happening, but they always allowed the main storyline to continue moving along smoothly. Given how quickly the plot was paced, this was a smart choice. The romance in this tale developed too quickly. It would have been helpful to have more hints about why the characters fell for each other so easily as neither one of them seemed like the kind of person who would be interested in that sort of thing. Knowing more about their personalities would have helped me to understand if this was out of character for them or if they both had well-hidden romantic tendencies. As it was written, though, I was never quite sure which one of these theories was the one the author was trying to share with her audience. The plot twist halfway through the story was nicely done. While I did see it coming in advance, it was still fun to see how this twist was revealed to the audience. I also liked seeing how the characters reacted to it. Their responses to this scene made sense based on what I had been able to figure out about their personalities. 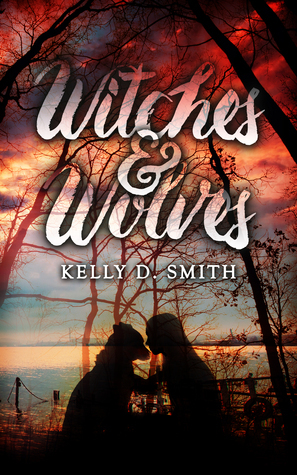 Witches & Wolves is a good choice for anyone who is in the mood for a whirlwind romance in a contemporary fantasy setting.